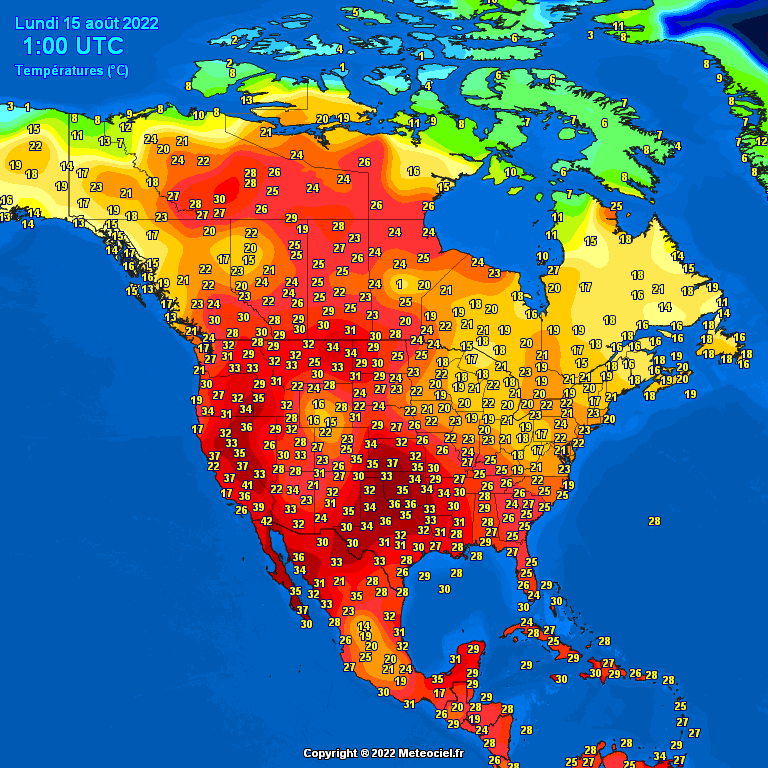 Temperatures North America – Mexico, the United States and Canada. Major cities. Morning temperatures.